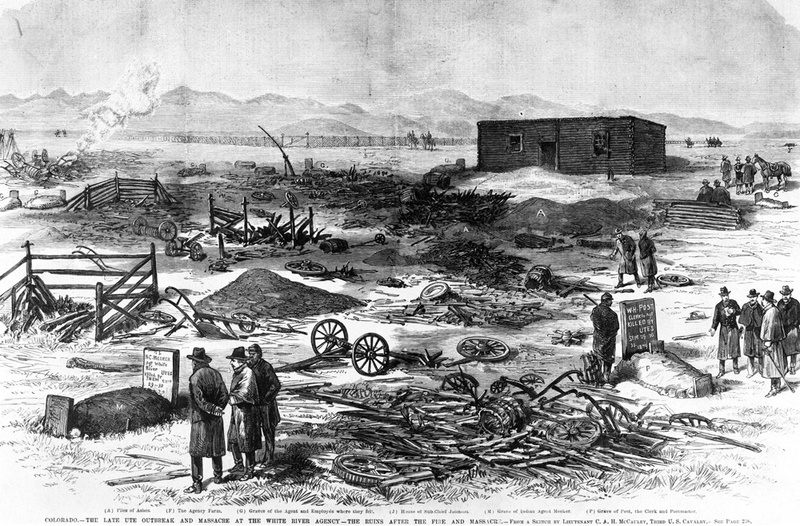 The ruins of the White River Ute Indian Agency in 1879 shortly after the Meeker Massacre. Courtesy of the Western History Collection, Denver Public Library, X-30699; the original is from Frank Leslie’s Illustrated Newspaper, December 6, 1879. McCauley, Lieutenant C. A. H.